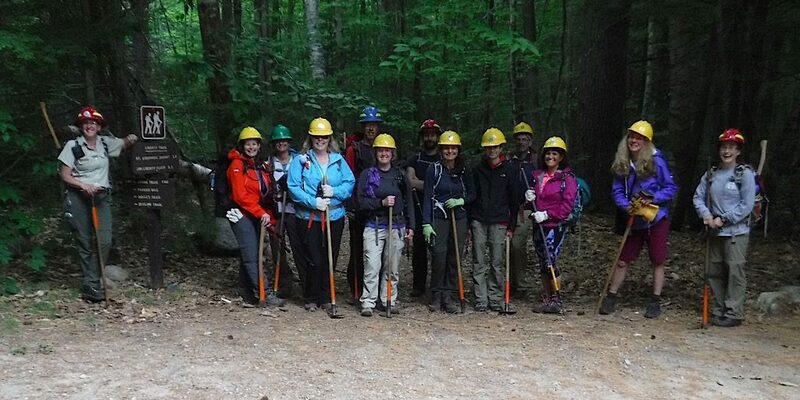 We recently announced our First Annual Volunteer Trails Day. 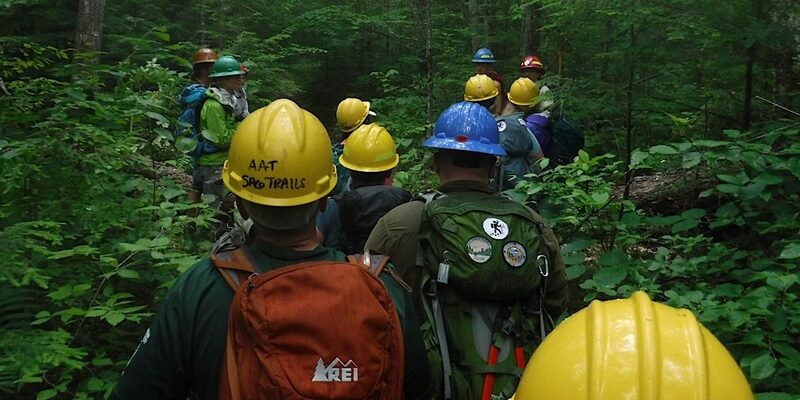 Our thinking was, as a company, to organize a way for folks to give back to the White Mountain National Forest. 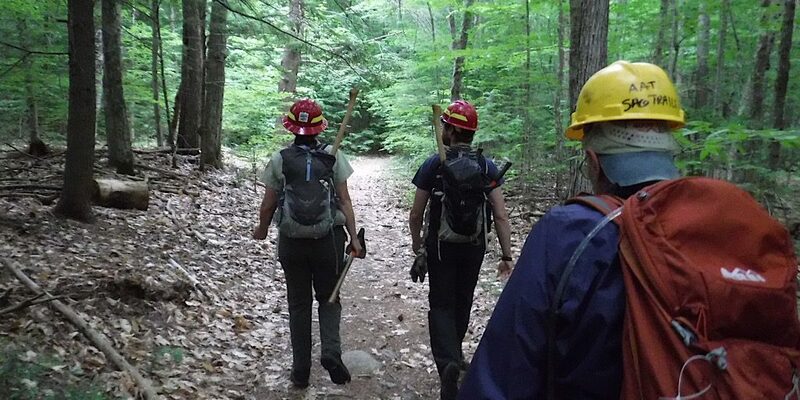 For hikers, a great way to do this is to maintain the hiking trails. Doing so preserves and protects them. And it’s sorely needed. 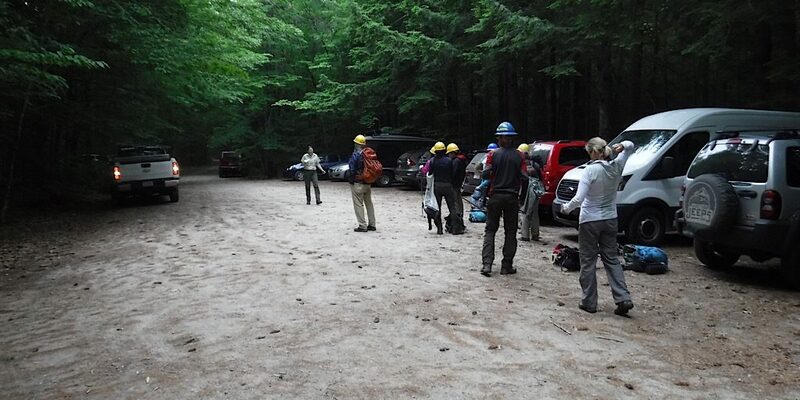 Hikers may not realize how much impact they have when taking on these trails with present day numbers. It’s a lot of wear and tear and it requires a fair amount of effort to address the problem properly and continually as it needs to be. We know one problem is that a lot of folk who are willing to help just don’t know where to begin and lack the required training. Thus, the main objective of this event was to provide this training so folks will know how to do the work. 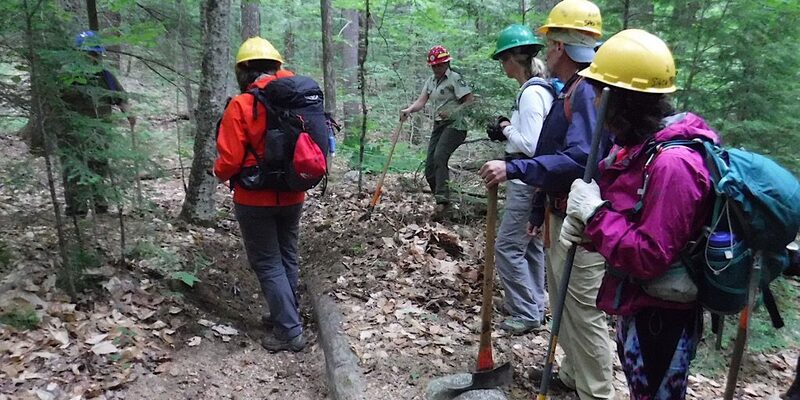 A our secondary objective, besides clearing 70 waterbars on Liberty Trail (Mt Chocorua), and more, was to connect folks with trail maintenance organizations so that they can put their new training to use in the future. Cristin, Mike, and Katie at the USFS Saco Ranger Station. 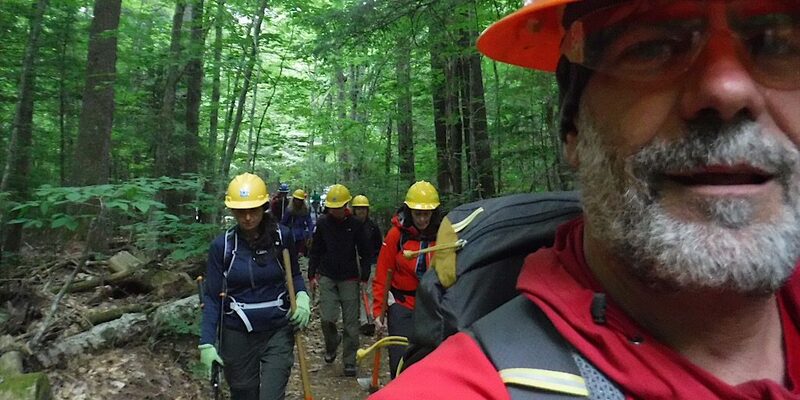 Andy with the NH Trailworkers Group. Aysia at Tuckerman Brewing Company. All of the volunteers who participated. After some classroom training we waste no time getting to our site. A pretty impressive turnout. Thank you all for giving up your Saturday! Heading in. Later we realized we took care of two miles of trail. 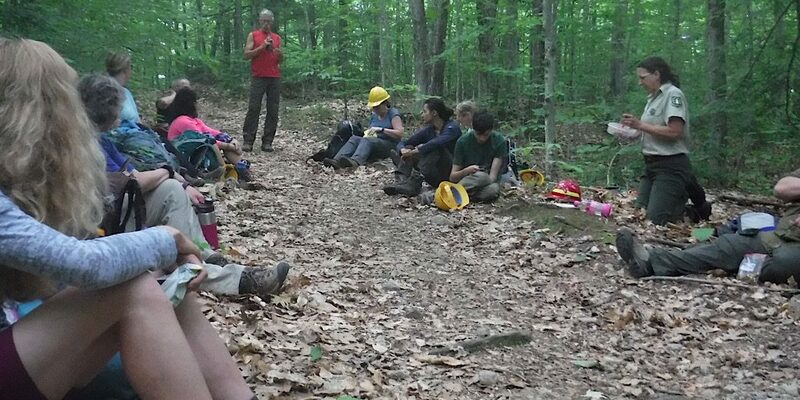 Trail lunch… we earned it! Heading back out later on. 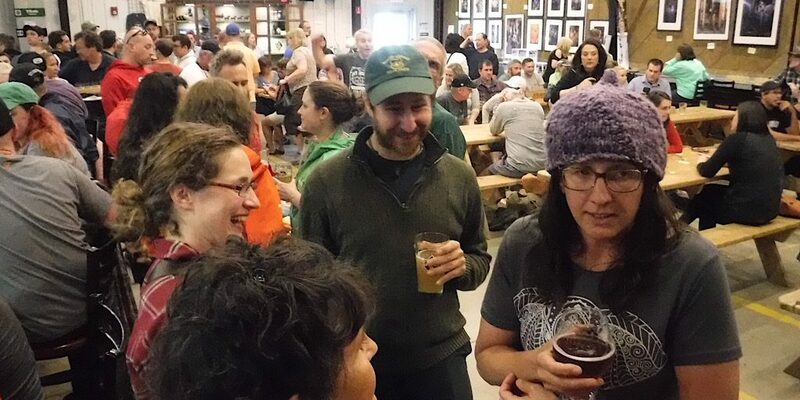 After a debrief we all gather at Tuckerman Brewing Company for a reward! 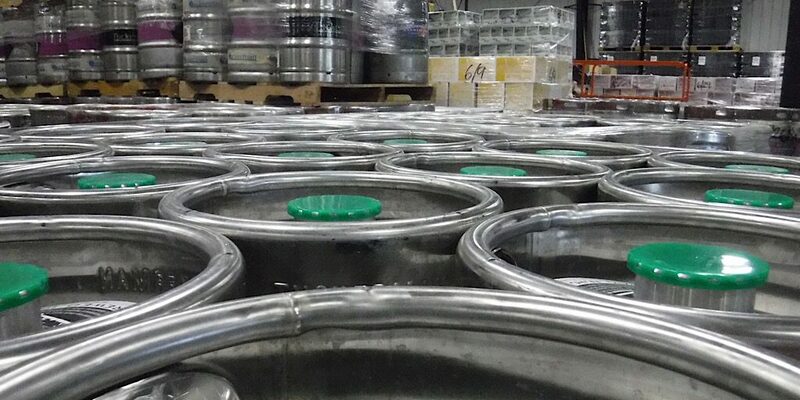 They also give us a Brewery tour. What a cool experience.